Every once in awhile, an exceptional recipe comes along and fairly quickly without much thought, I find myself returning to it more than twice in a single week. 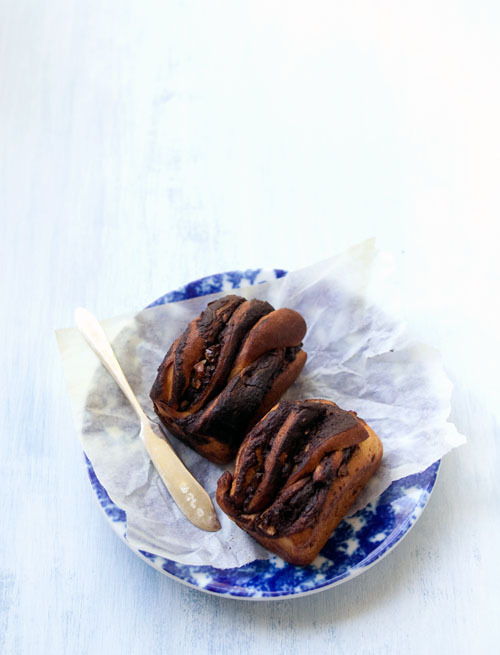 This very splendid chocolate Krantz cake from Tara’s blog, which comes by way of Ottolenghi, is one such recipe. It produces two memorable loaves of sweet yeasted cake that are utterly blissful when eaten warm and that also manage to stay moist and just as pleasing several days later. The first time I made it, I foolishly halved the recipe. Big mistake. The entire loaf disappeared within two days, leaving me craving for more. The second time round, I made a full batch, flavouring the dough with candied orange and cardamom and also reducing the sugar content by a few tablespoons. Half the dough was converted into a tray of mini loaves, for tearing and dipping into little cups of burnt chocolate custard. Anyway, you know the drill. 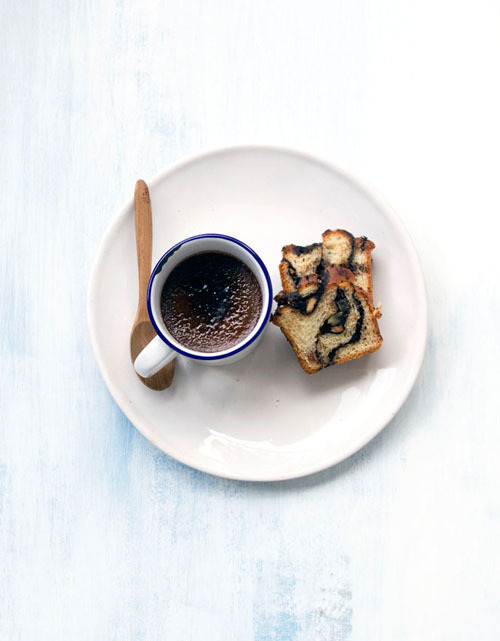 If you only have time and the inclination to bake one thing this week, please let it be chocolate Krantz cake. Get the recipe from Tara’s blog. If you want to gild the lily, the recipe for the chocolate custards are below. Melt the 1/2 cup of sugar in a medium sized pot, then increase the heat and cook until golden brown, stirring with a heat-proof spatula. When the sugar has caramelised, turn down the heat and carefully whisk in the cream (the caramel will splutter), followed by the milk and salt. Continue cooking until the caramel has dissolved, then remove from the heat. In a large bowl, combine the yolks with the melted chocolate, then whisk in the warm caramel cream. Strain the custard into a jug, and divide the mixture between 4 ramekins (I used small cups, as shown in the first picture). Bake covered loosely with foil in a bain marie in a preheated 155’C oven for about 40 minutes until the custards are just set. Chill overnight before caramelising with a generous sprinkle of caster sugar and a blow torch.